new and potential customers using Rich Media, News and Online Links to Information in a cost-effective way. 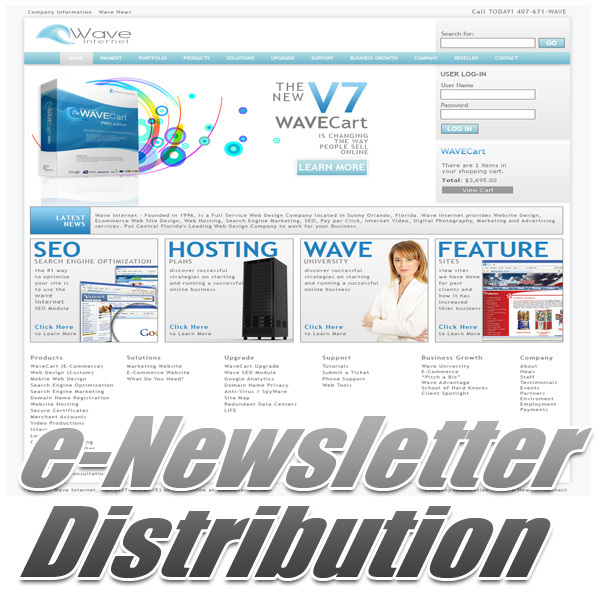 The advantage of using Wave Internet to Distribute your eNewsletter is Wave Internet will help you manage your newsletter marketing list while following all Spam Prevention Guidelines. The Biggest Advantage however is Wave Internet's VAST eNews Delivery IP Range used exclusively for the delivery of eNewsletter. Wave Internet's IP Range meets all Spam Prevention Guidelines and is White-listed by all Major ISPs assuring you get a higher delivery rate while minimizing potential issues with Spam.